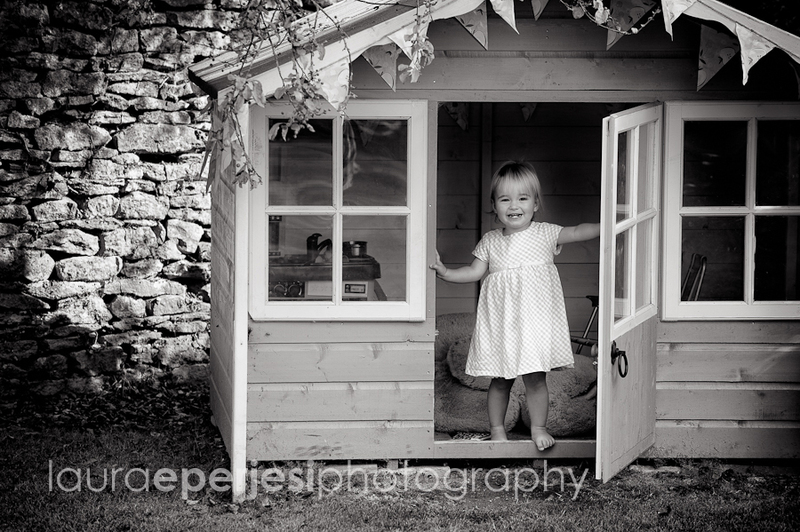 I went to visit Sophie and her family at their beautiful cottage in Long Compton for their family photography shoot. 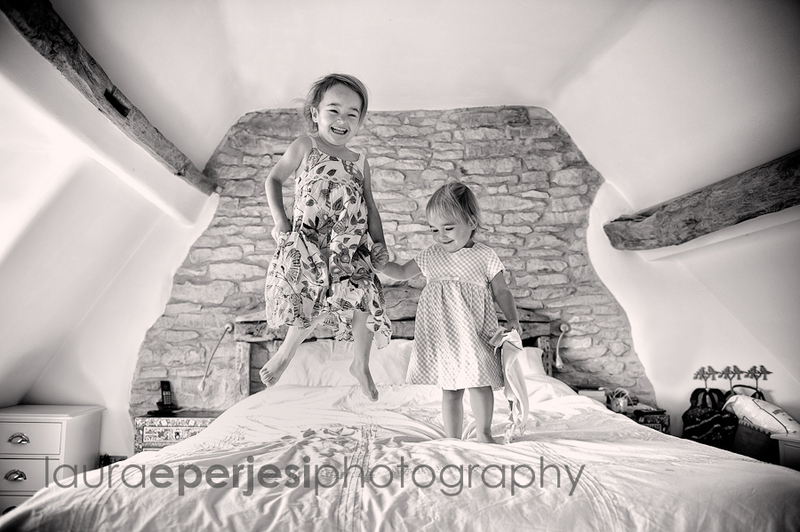 The girls were a delight to photograph as I generally let them get away with a little more than they are allowed. 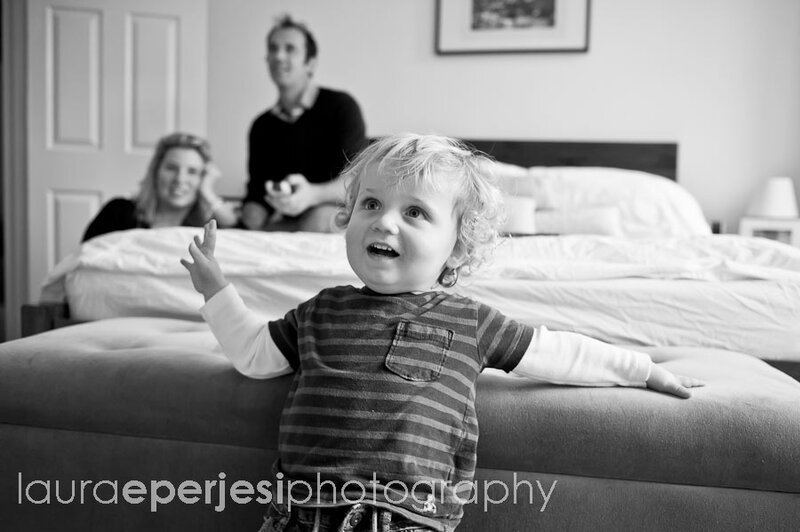 Like jumping on the bed or playing with jewellery that might normally be out of bounds and maybe the extra snack. However, I think that’s the best bit about my job, just enjoying being with the kids without having to do all that discipline stuff. 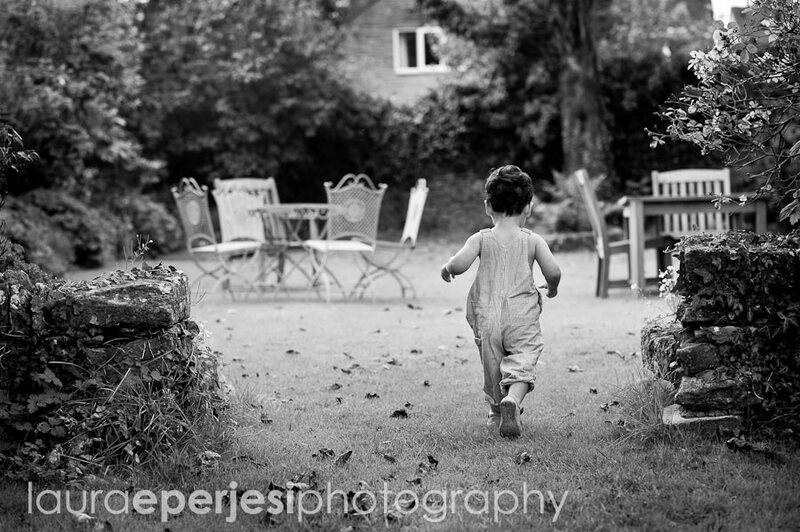 After playing with the girls on the bed we ventured outside into the gorgeous garden. We were very lucky with the weather. 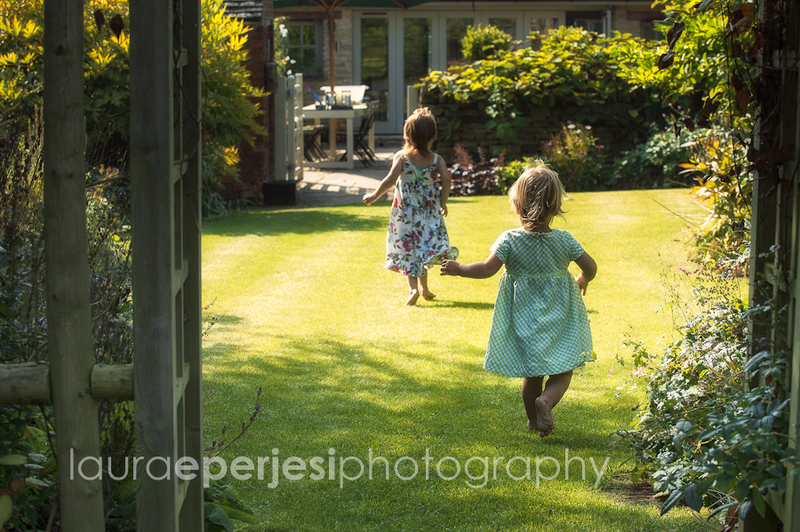 I love the shots of the girls running down the stretch of glorious, green garden. 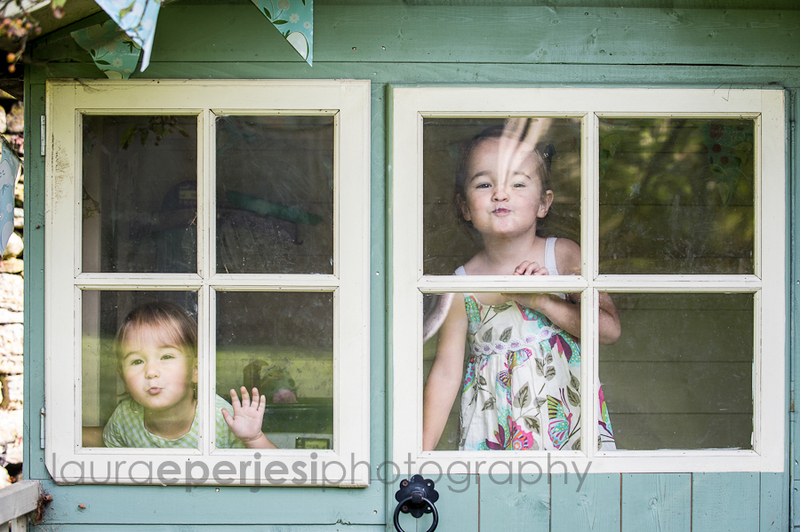 They were happy to play with bubbles and send me kisses through the window of their wendy house. Rosie’s birthday party was at the weekend and as a special treat they were allowed a pre birthday bounce on the bouncy castle. Why not? You might as well get use of it before its packed away for winter! 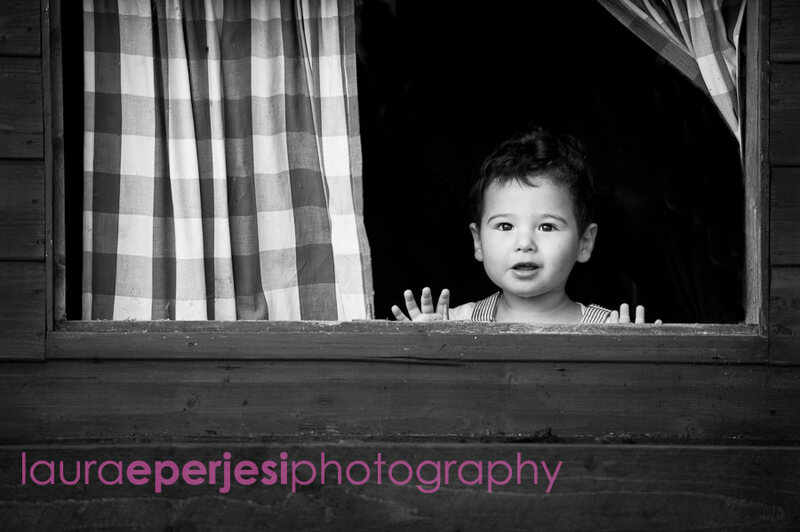 Then the best bit of this reportage family photography session was about to unveil itself! The back doors were opened wide like the curtains on a stage and Rosie and Beatrix put on an amazing dance routine to “let it go” from Frozen. Not once or twice but several times with the music as loud as we dare go. I was in my element watching them perform with such passion. 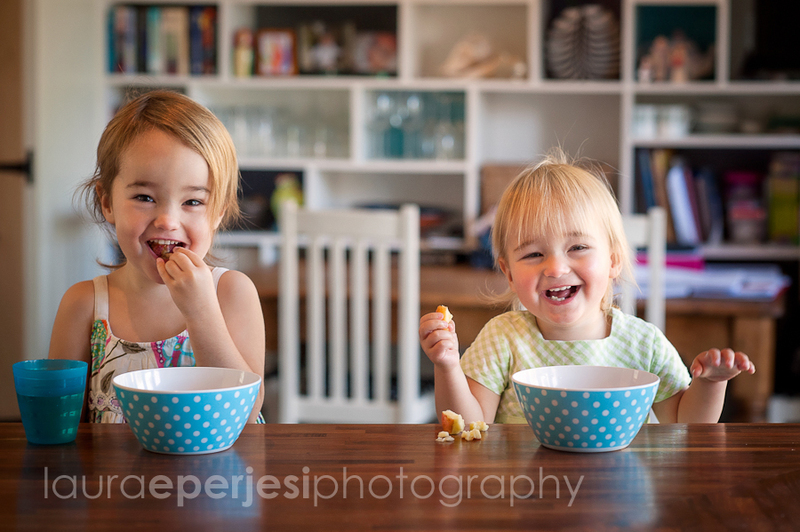 Beatrix was is awe of her big sister and tried to copy her every move. Delighful! 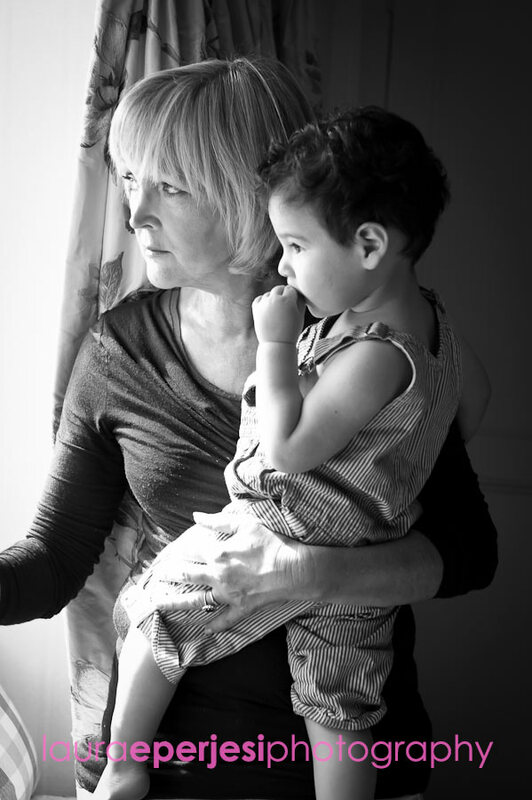 Although I do empathise with the parents as long after I am gone the same track with be played over and over again. 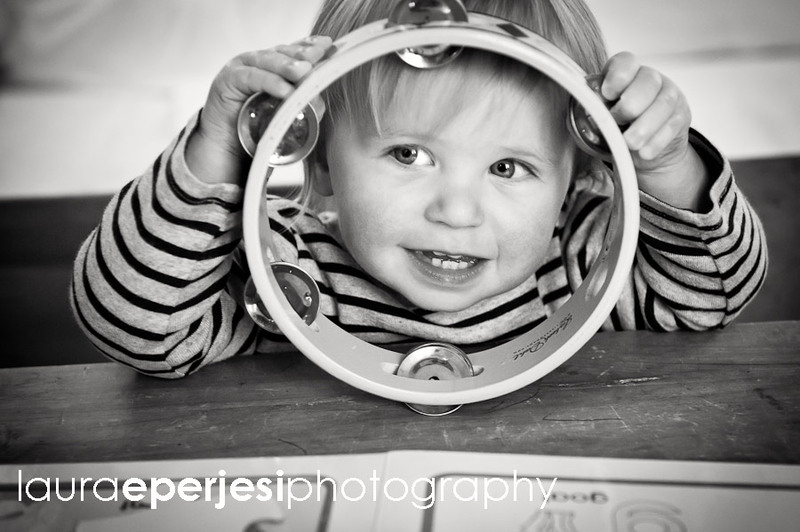 Here are just a few of my favourite photographs from this children’s family photography shoot in the comfort of their own beautiful home. Thanks to this family I have now discovered ‘Daylesford organics farm’ which is just a stones throw from here. 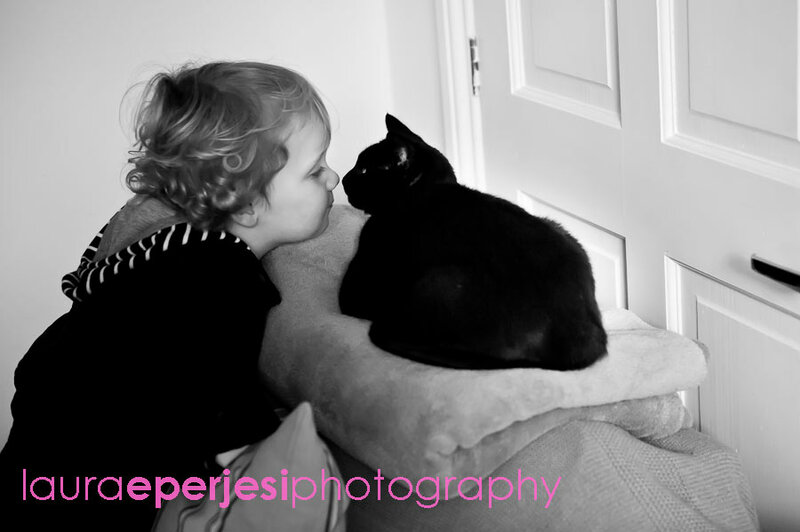 I am also looking forward to meeting the rest of the family for festive, photography shoot. 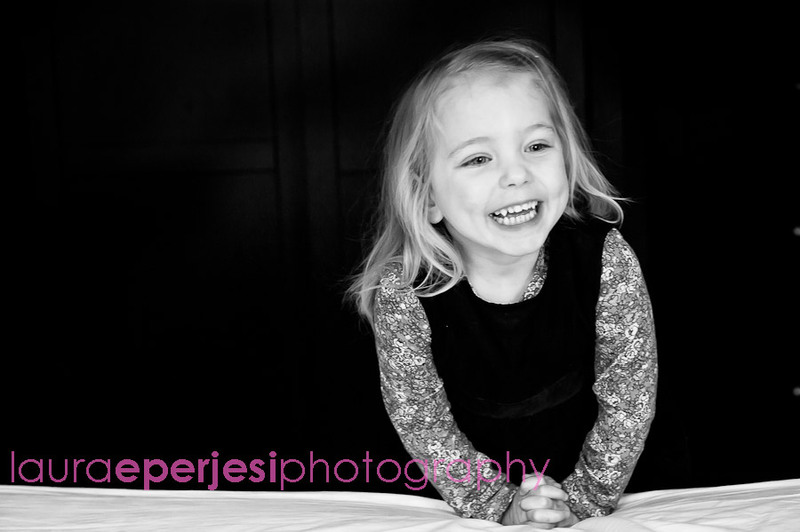 If you would like more information about my relaxed photography sessions then please contact me here. I tell myself that I will be more organised. Well, actually this year I am. 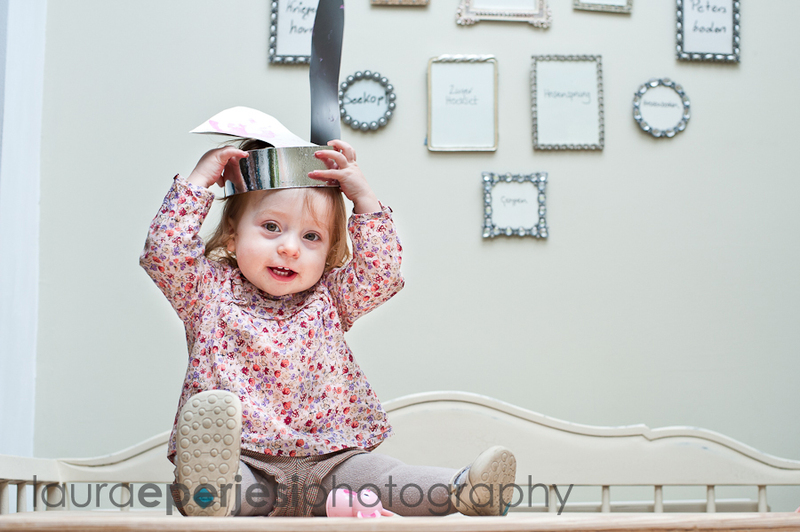 Thanks to having the lovely Ella as my “intern”. However, as always I am running about a year behind with my blogs. 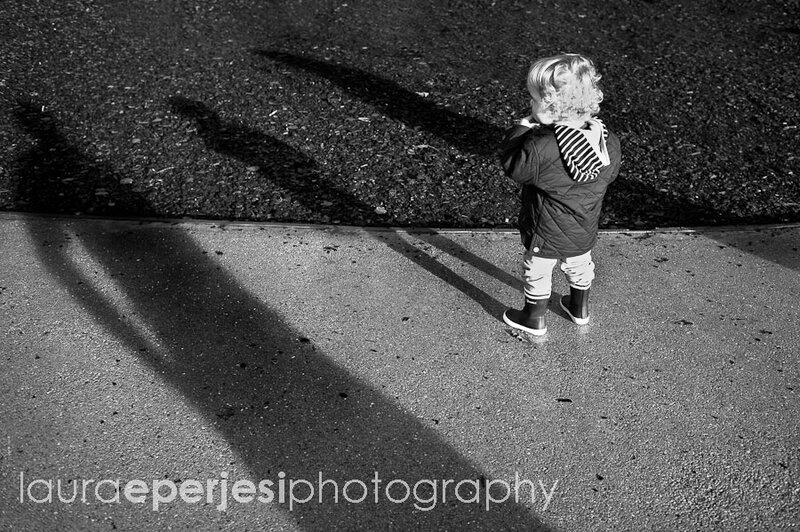 Although at Xmas I try not to share too many of my family portraits from my reportage photography shoots as I don’t want to spoil the surprise. That’s my excuse anyway! If you are indeed one of those last minute shoppers then do consider one of my gift vouchers as it makes an excellent present for Xmas. 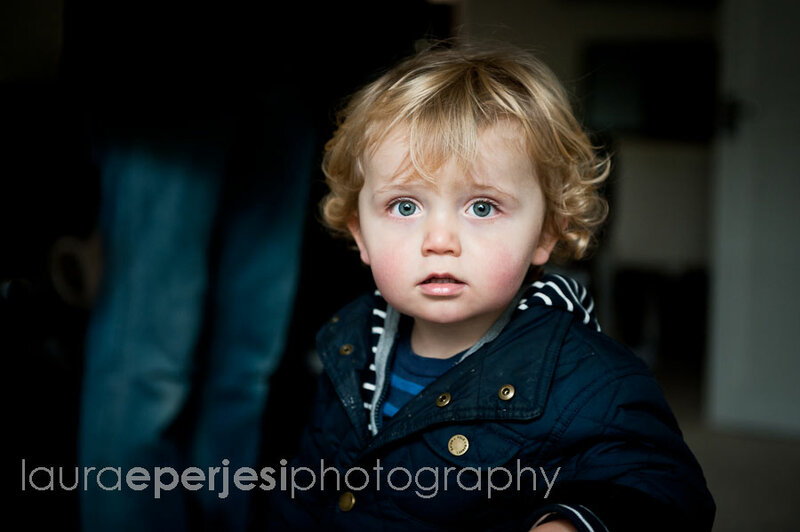 As one of my clients kindly referred to my photography vouchers and family portrait sessions as “the gift that keeps on giving”. Your voucher with come boxed and even wrapped ready for Christmas day. 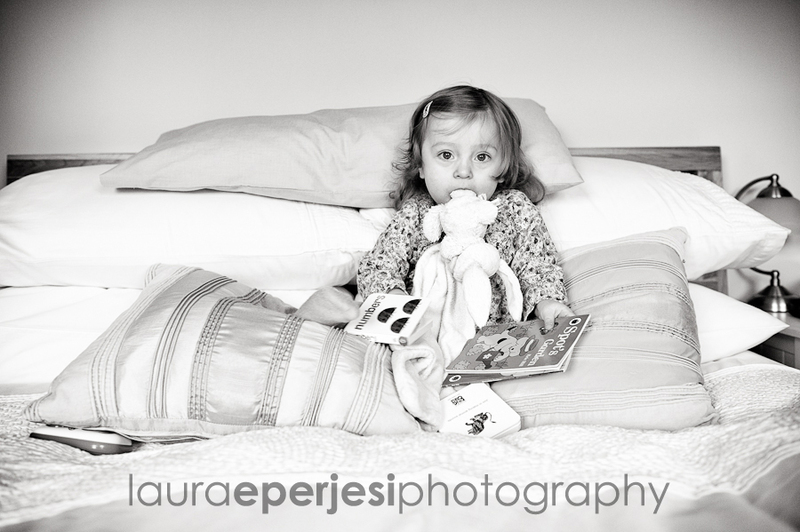 They start at £150.00 but you can add any combination of books or famed prints. 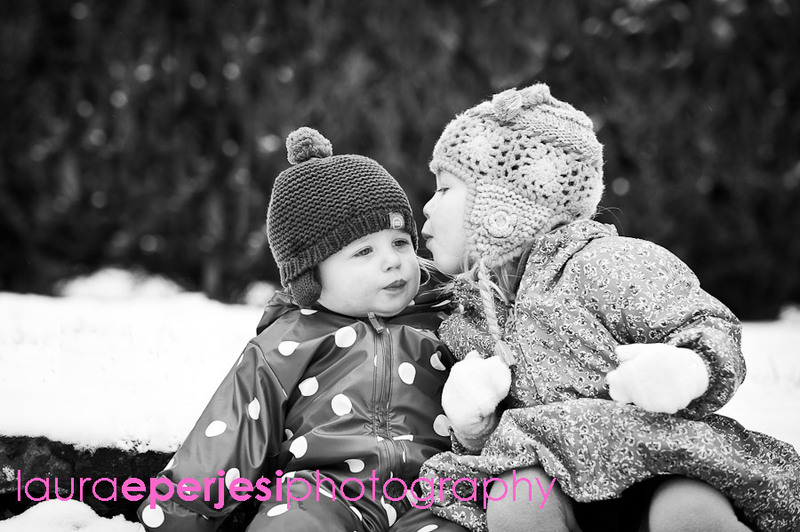 Please contact me here if you would like more information on my photography or Xmas photography vouchers. 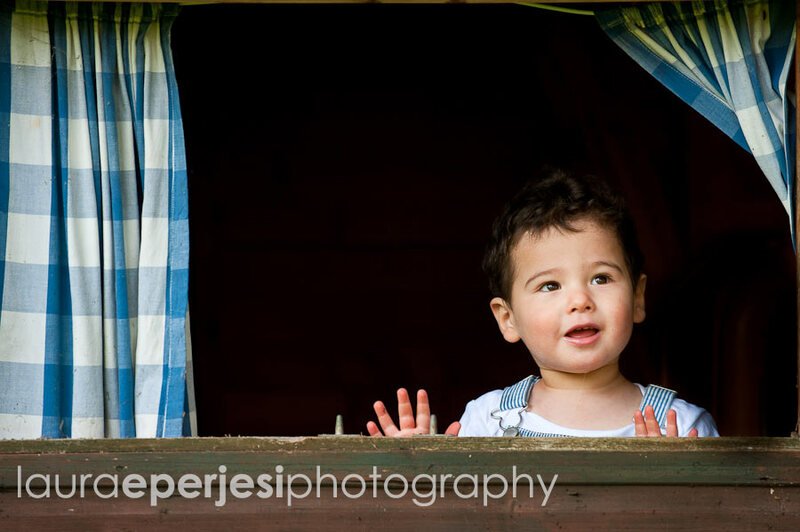 Here is a little montage of some of my natural photography sessions over this last year. There is a definite blue theme going on. 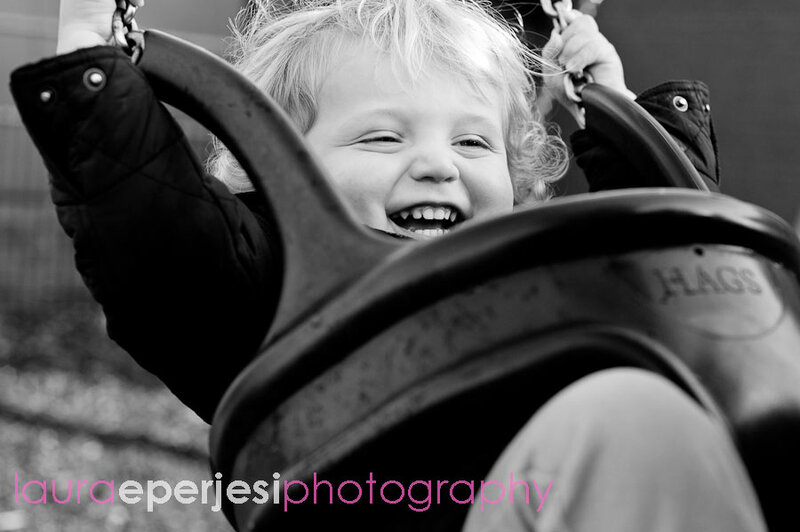 I am lucky to be able to flit between town and country photographing families in their natural surroundings. 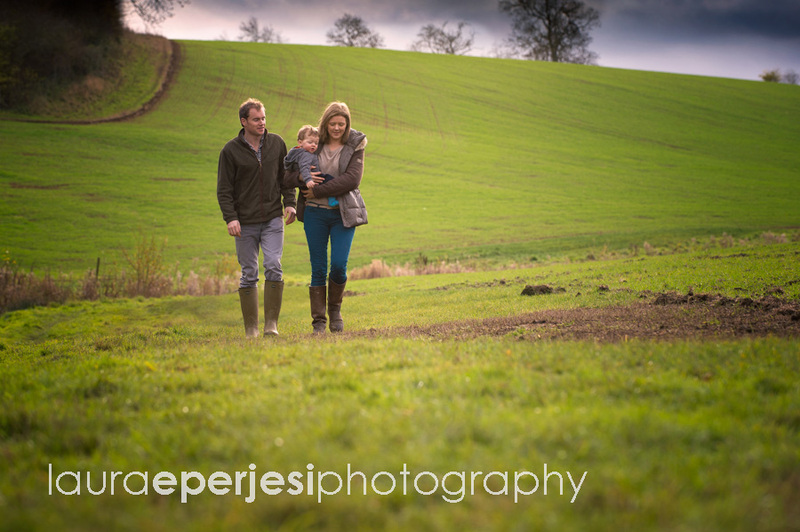 I was delighted to meet Finlay,Chris and Amy as they had made the move from London to the beautiful Cotswolds near Moreton in Marsh. 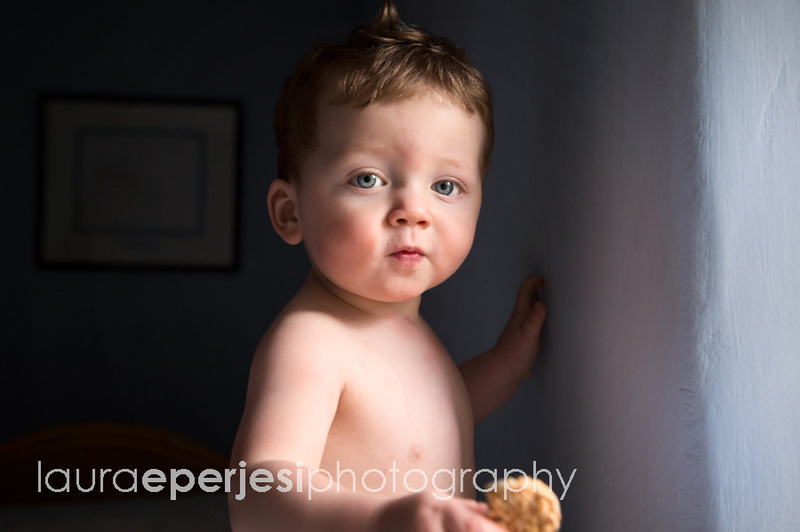 We started off in the house, (which was recently finished) and let Finlay familiarise himself to me and my camera. Didn’t take long! 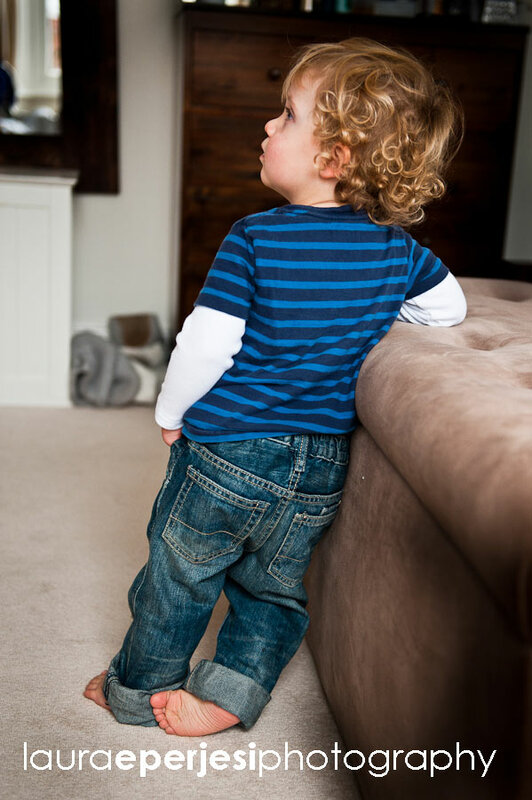 He was at the stage where he was crawling around on the floor and pulling himself up on the furniture. I was warned that he didn’t keep still. They were right! 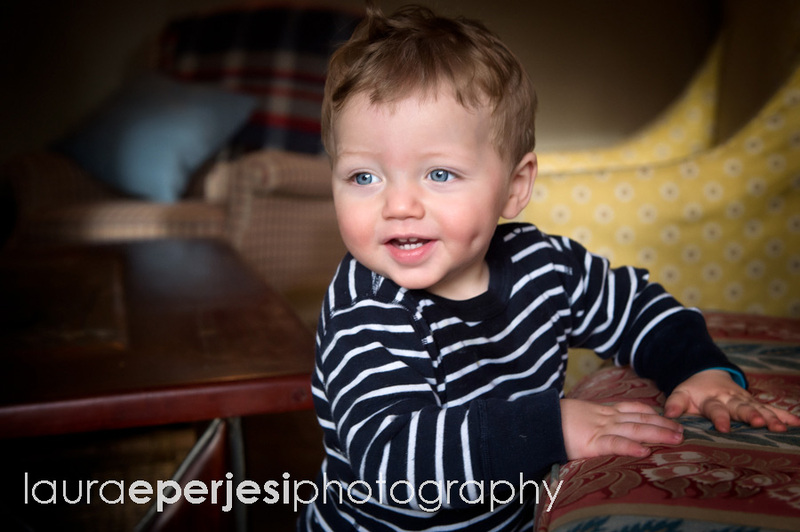 So my camera was put to the test and so was I. I love this first photograph as it shows his gorgeous dimples and smiley almond eyes. 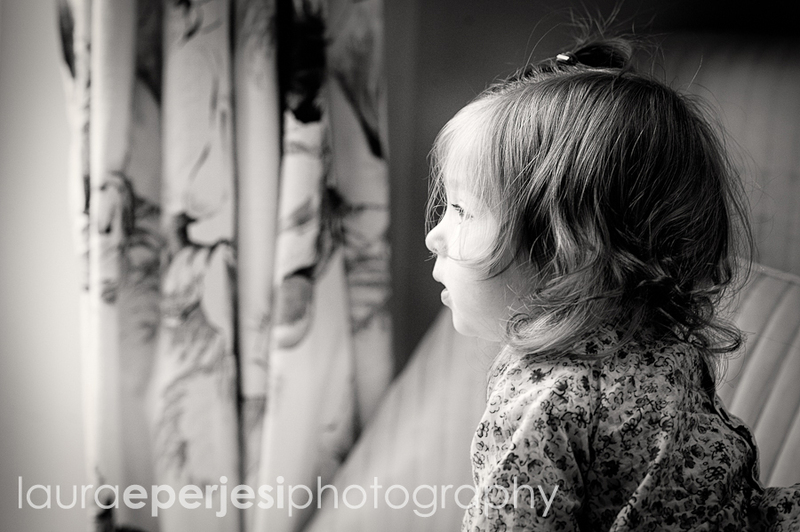 My favourite light is natural window light and I had a real treat when we went upstairs and found the most gorgeous county cottage window. Finlay was perched precariously on the large sill whilst watching daddy outside. 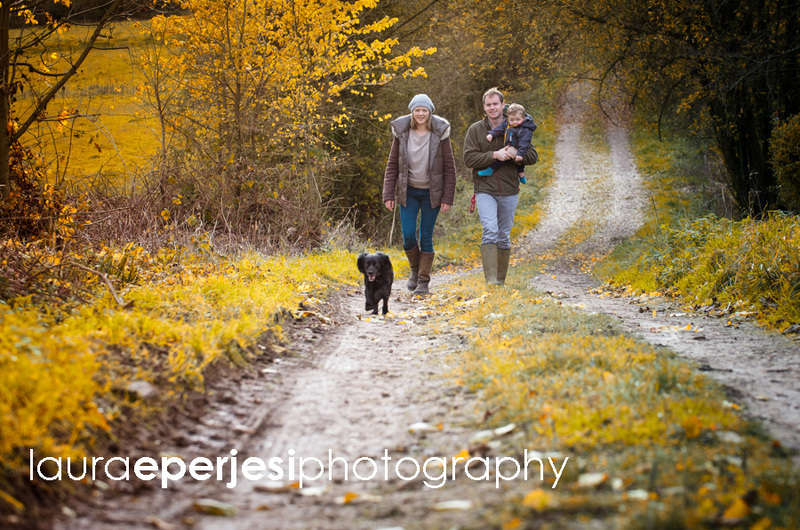 As we were surrounded by beautiful countryside and the dog needed a walk too (and get in a few photos) out we went. 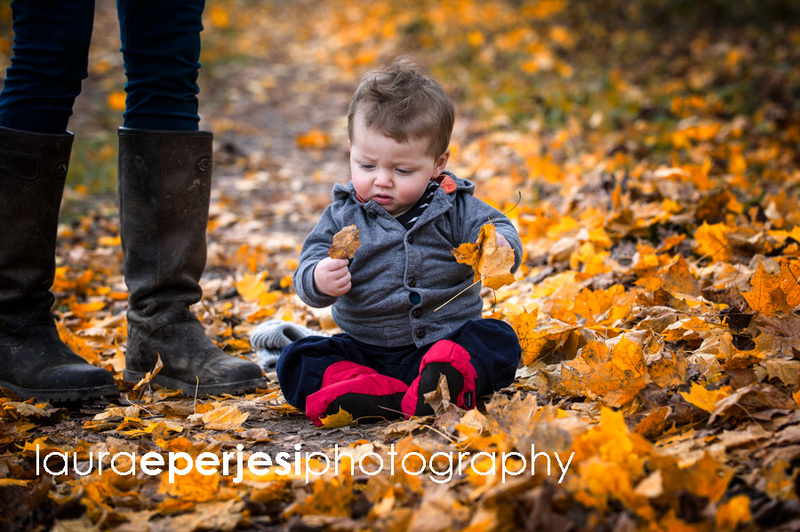 Finlay enjoyed discovering leaves and I enjoyed getting down to his level and capturing his curiosity. It was soon lunch time and afternoon nap time. 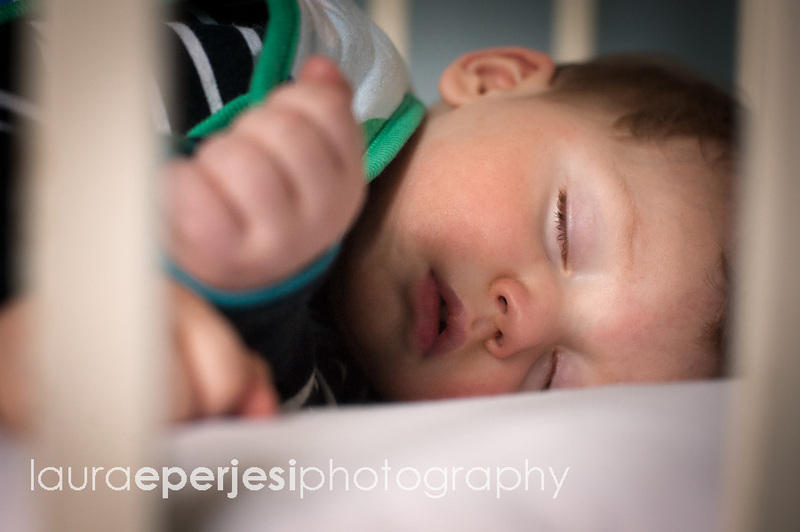 I do love photographing both as it it something that babies do a lot! Infact I was ready for a nap myself! 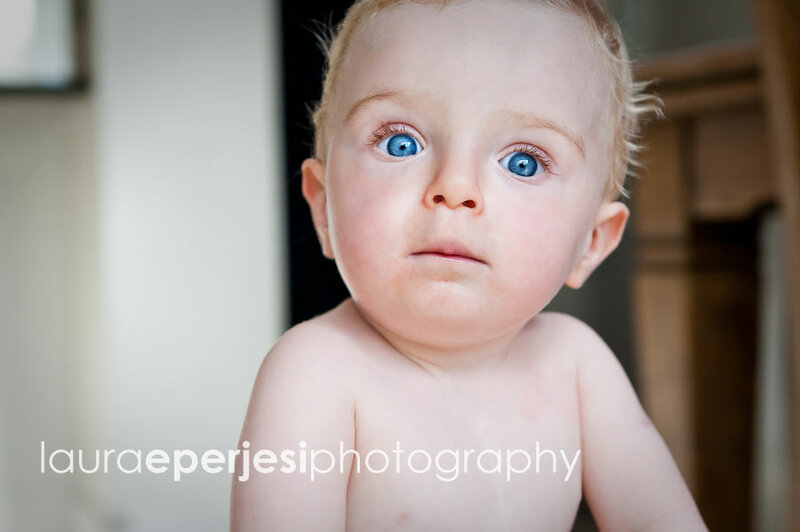 If you would like to know more about my family and baby photography sessions please contact me here. Comments are always welcome! 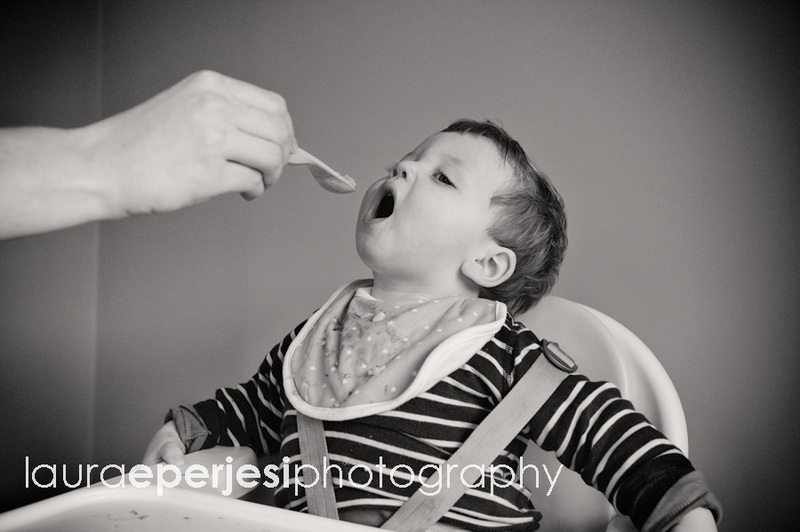 Playing catch up with my blogs I’m afraid running a few months behind ! 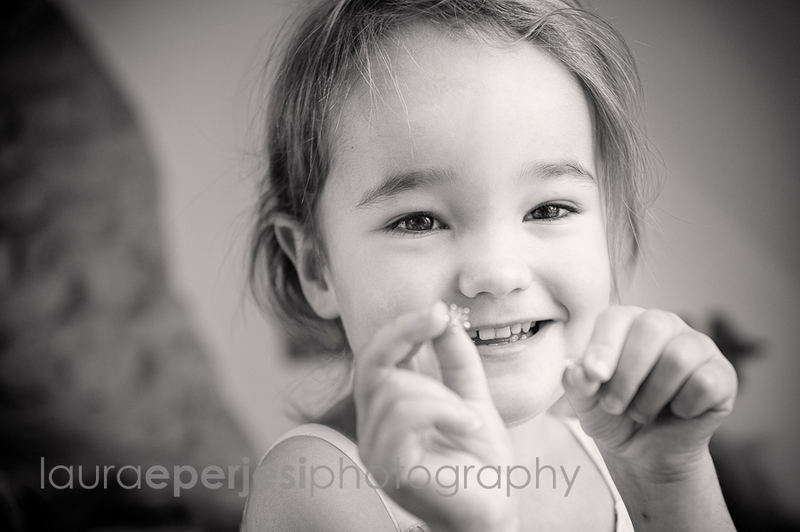 I went to meet the very energetic Frankie at home for her first children’s photography session in Cheltenham Gloucestershire. 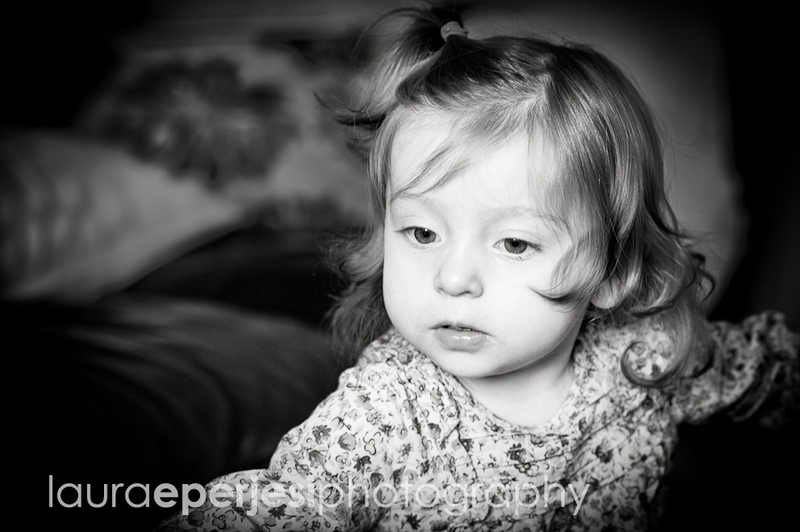 Her mum was feeling a little guilty that she had never had her professionally photographed before but its never too late and we should never feel guilty! 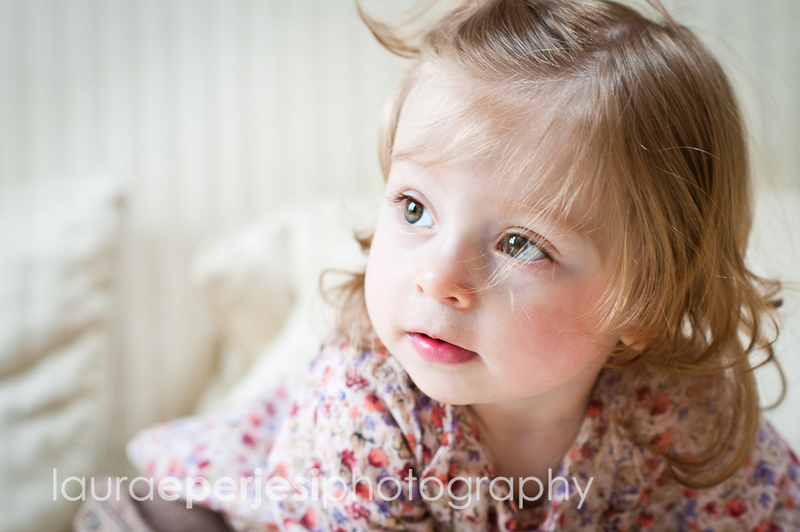 I was able to capture Frankie before she shoots up and looses that babyish charm. Well I had to keep my shutter speed up high as Frankie was a busy body that didn’t stay still for longer than a couple of seconds. Testing my camera and my ability as a child photographer. 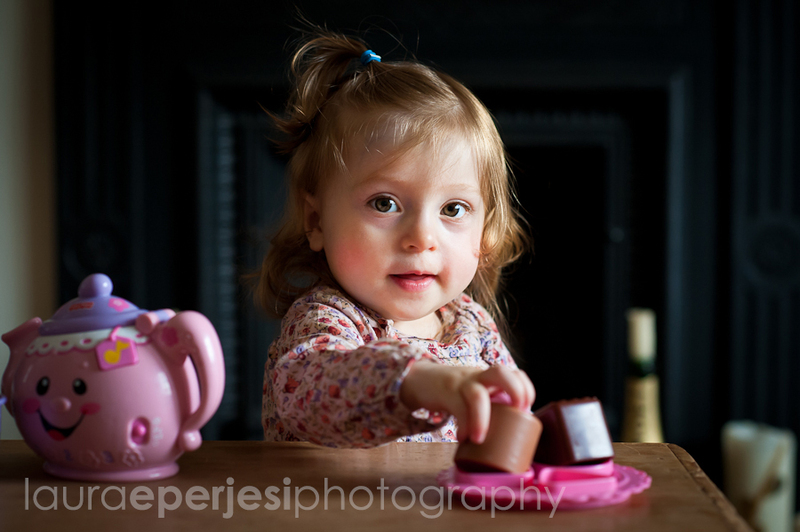 She loved playing with her tea set and was allowed the normally forbidden mobile phone. 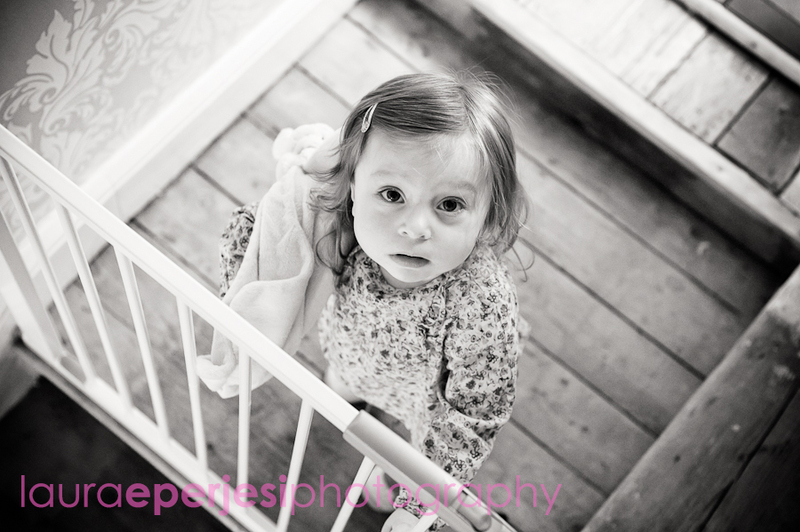 I love this first shot of her at the top of the stairs. Penned in by the stair gate , desperate to be released. 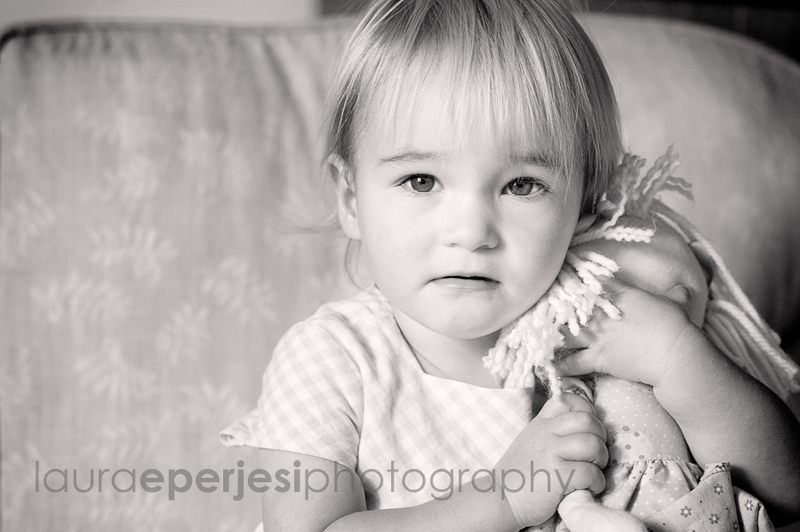 I also love the stage where children become attached literally to a soft toy or security blanket. A nightmare should you ever loose it……or even threaten to wash it. 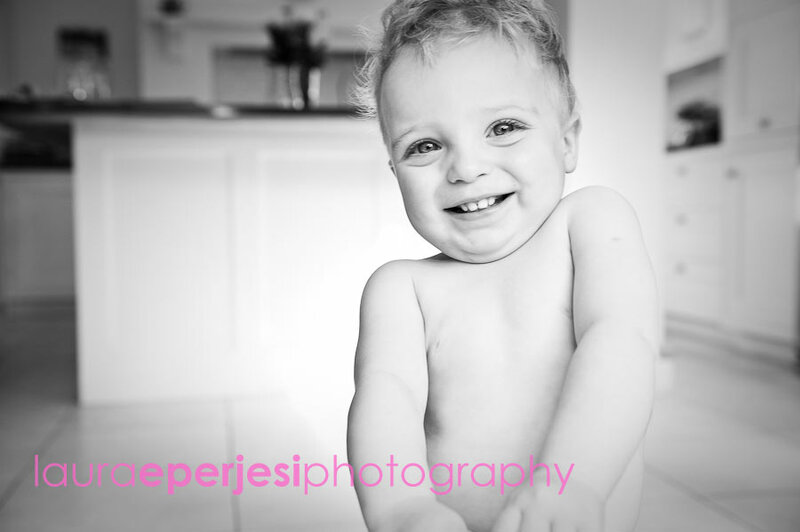 Frankie was a delight to photograph with lots of cheeky charm. 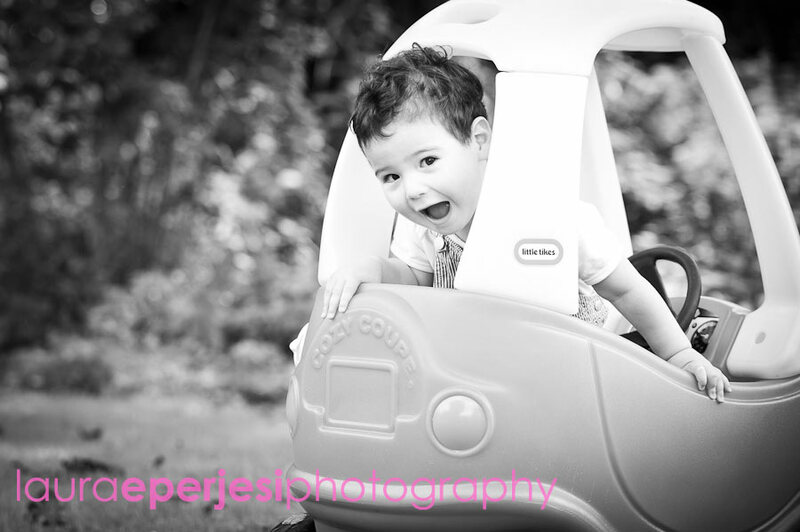 If you would like to have more information on my children’s and family photography please contact me here. 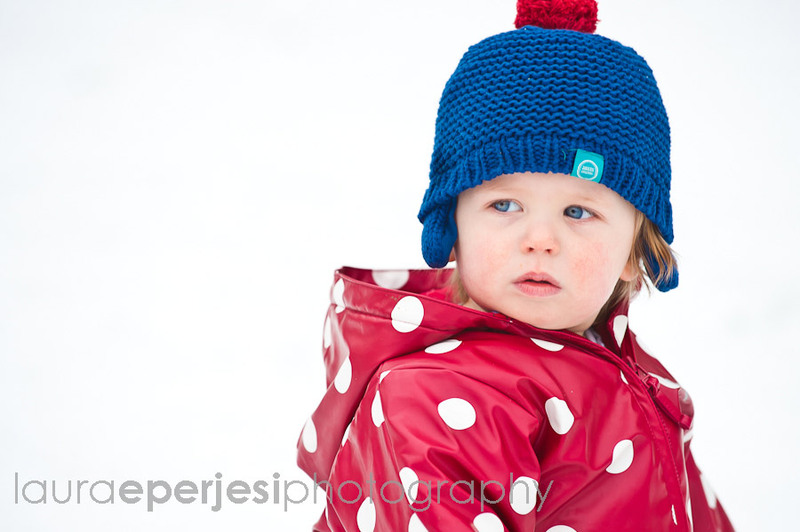 So as the weather is still freezing, I don’t feel quite so bad about blogging my snowy winter family portrait sessions! 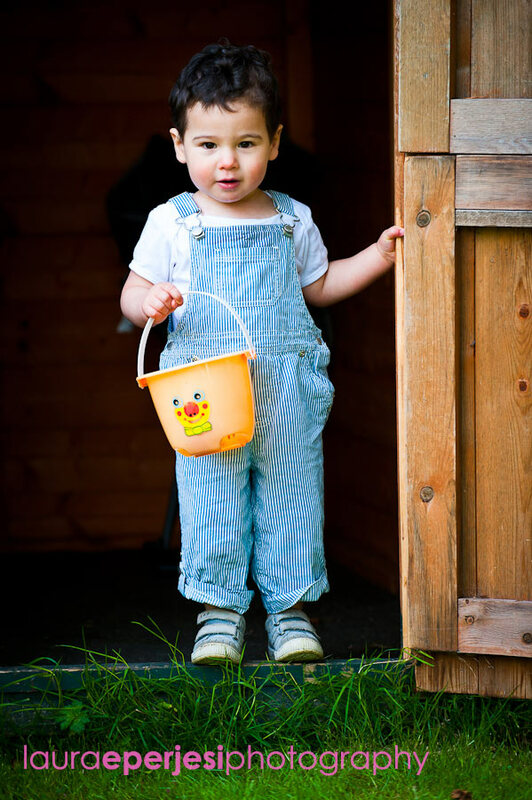 This was Barnaby’s third photo shoot which, as you can see was taken in Winter. Although it is difficult to tell what season is what nowadays. After taking some photos inside we ventured into the virgin snow in the garden. This was Barnaby’s first time in the snow and his reactions were a little mixed. 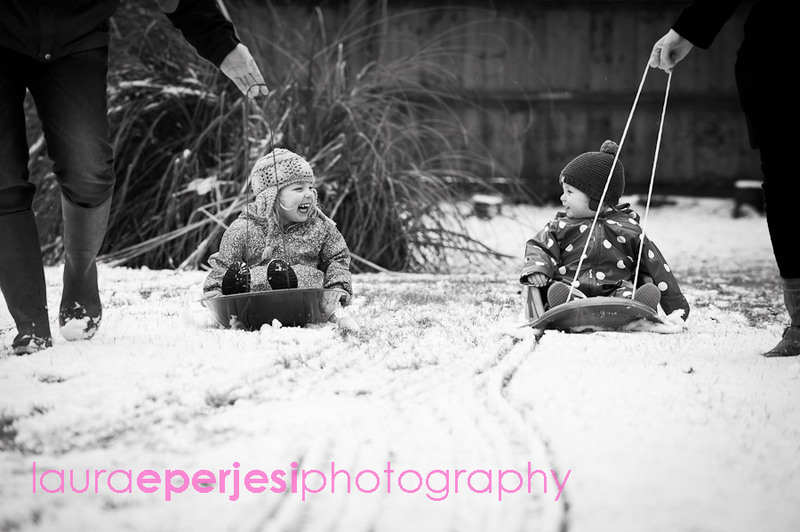 He was a little inquisitive to start with then once he got in the sledge with his big sister Florence he soon realised what fun he could have. 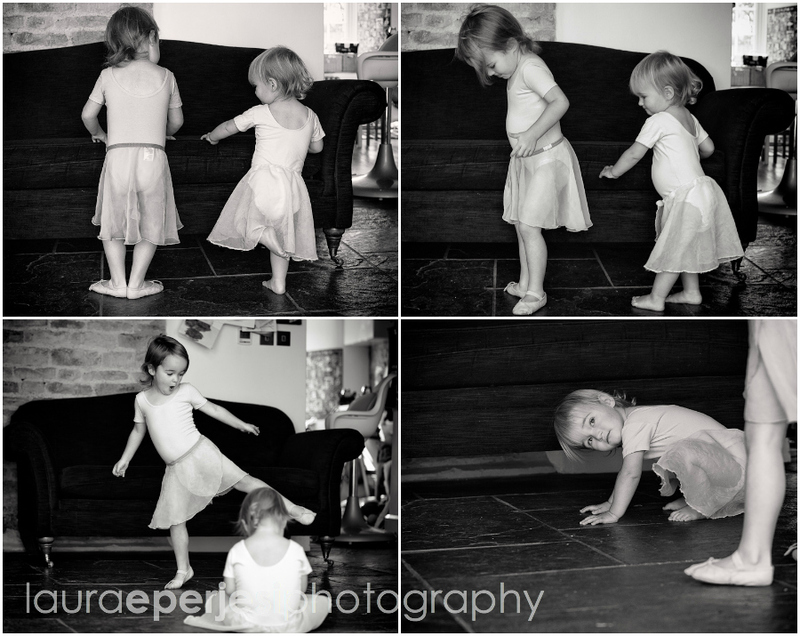 After a few more shots outside of a loving sister hugging and kissing her little brother……with a little help of good old fashioned bribery, we headed inside to warm up. 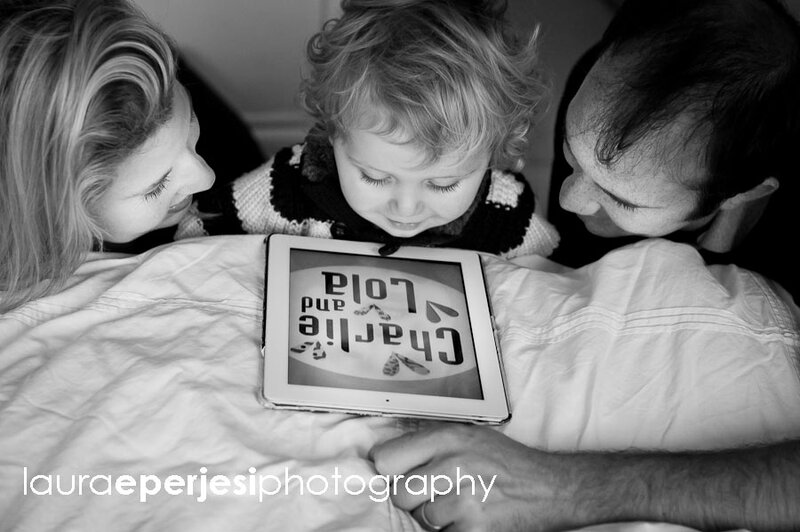 I have really looked forward to catching up with this family for their photo shoots and recording their children’s first year of family life and putting them in their very own books. I feel quite sad that its already come to an end. Time flies! 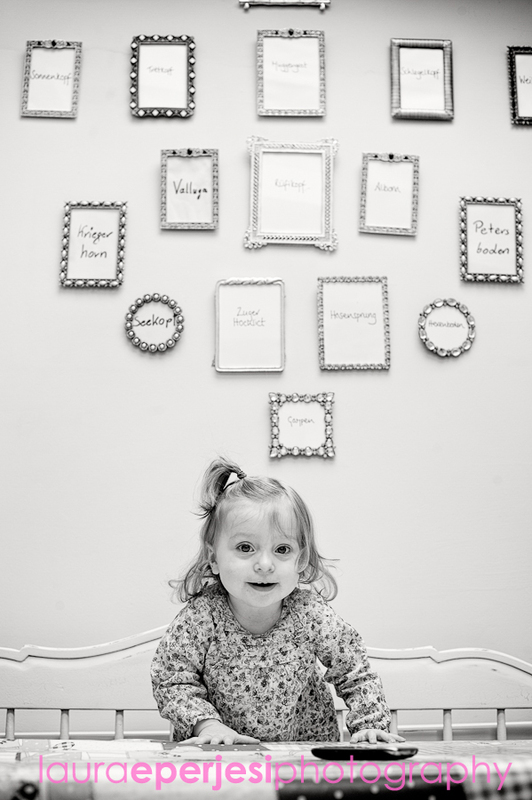 If you are interested in having a photo book made up of your babies first year just contact me here. 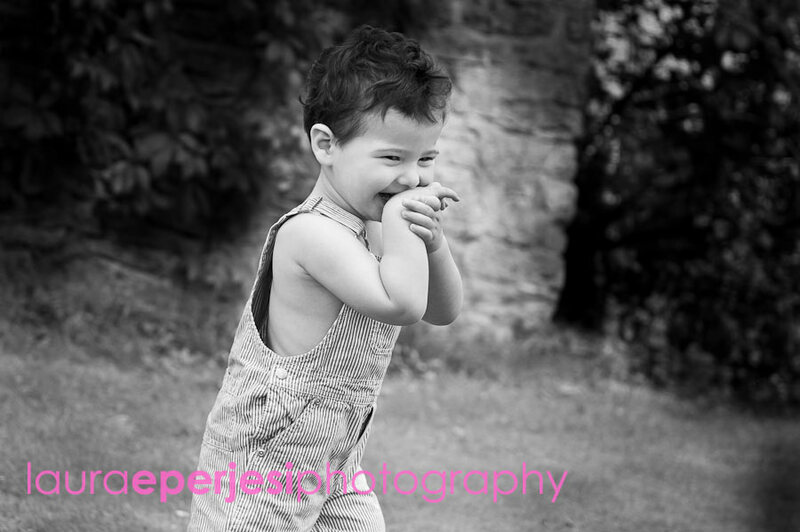 Here are some of my favourite photos from this children’s family photography session in Gloucestershire. 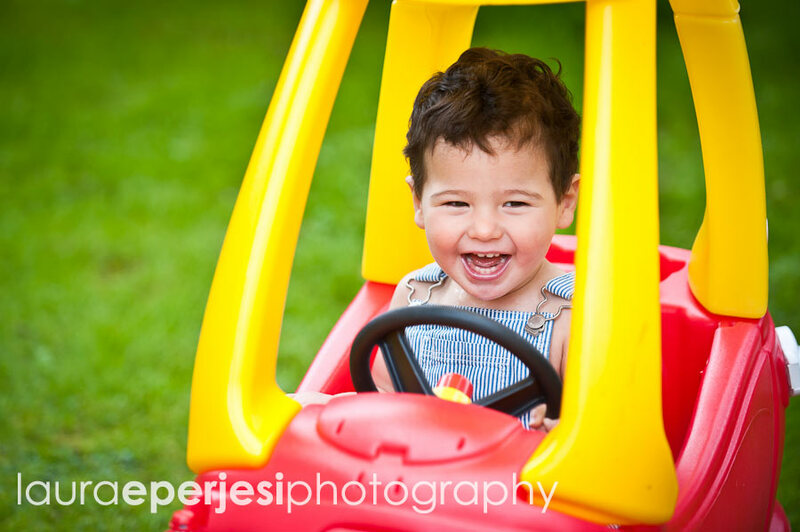 One of the best things about being a children’s family photographer in London is getting to see my clients again and again. I love happy clients and repeat business. Especially when I get to meet the whole family. It’s like going back to see old friends and I feel honoured. 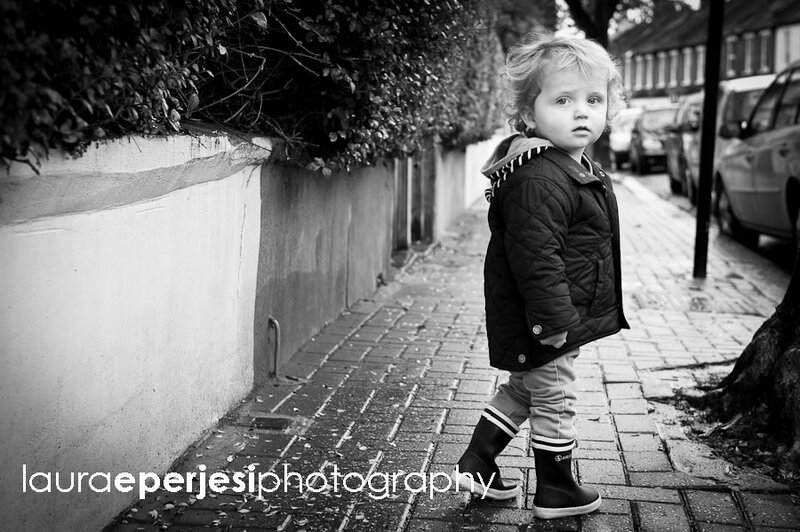 Jake is now well and truly up on his feet and running to the park with great eagerness. Jake knows that when he turns left out of the front door it means ‘park time’. 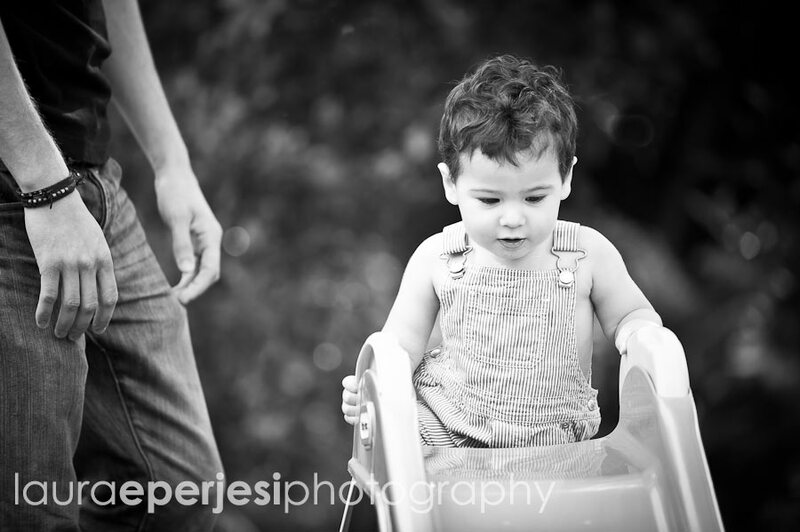 So off to the park we went and I managed to get some natural family portraits as well as individual ones of Jake. 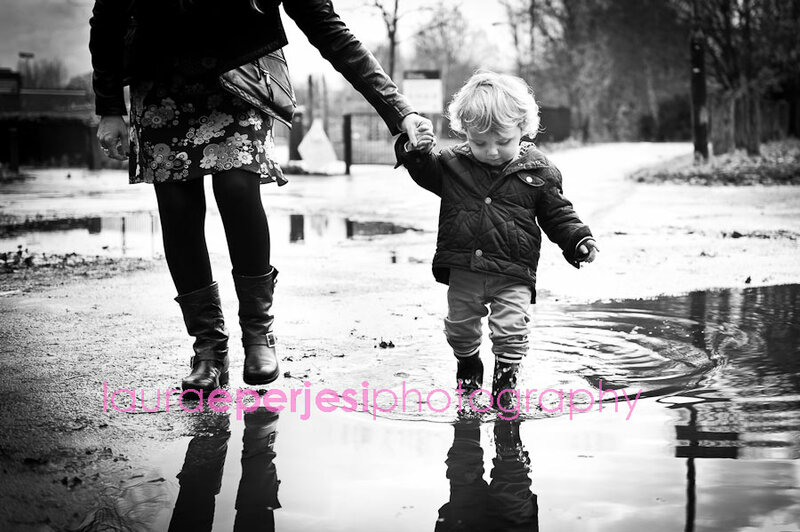 We did a lot of trainspotting and braving the puddles…..which was my fault. 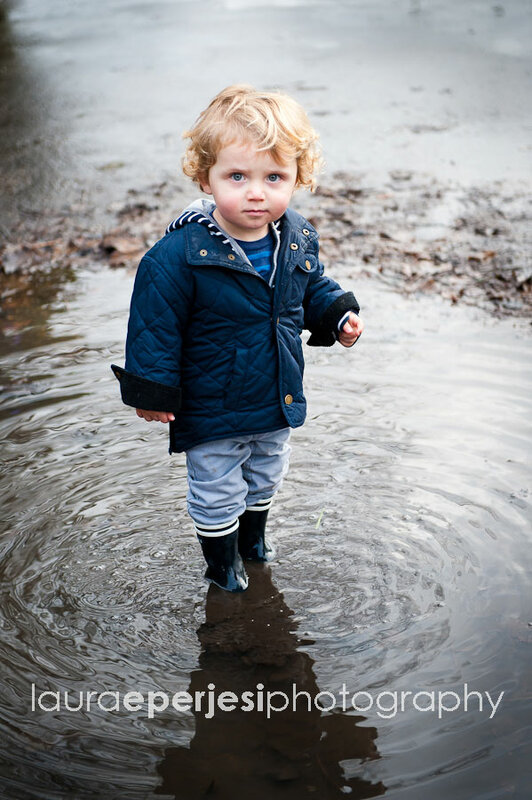 That’s what puddles are for. 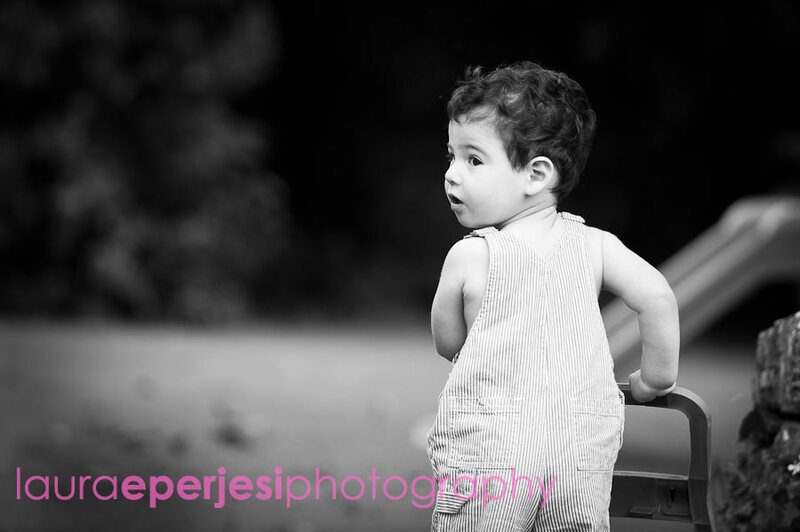 Here are s few from you family photography session in London and Tooting Bec Common. 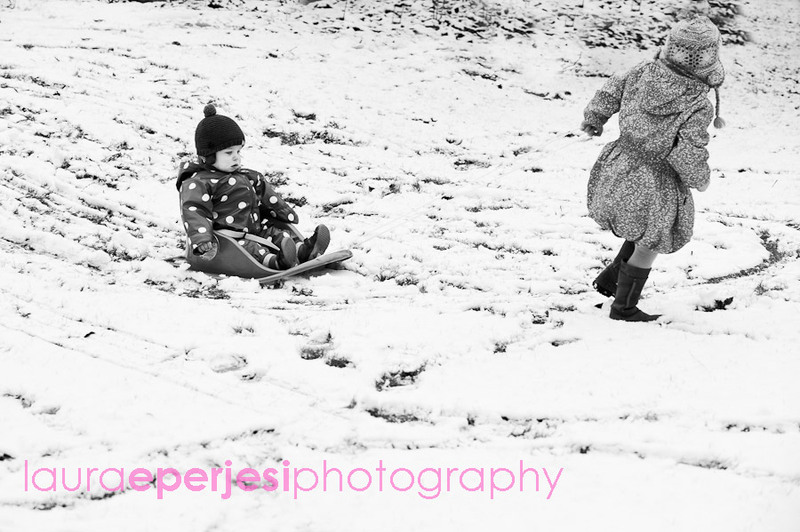 It’s is the silly season for me so …….sorry I am running behind on my blogs, I will get there eventually! This is a family (and extended family ) I have been visiting a lot lately. With new arrivals and sadly departures, moving on to new adventures abroad. 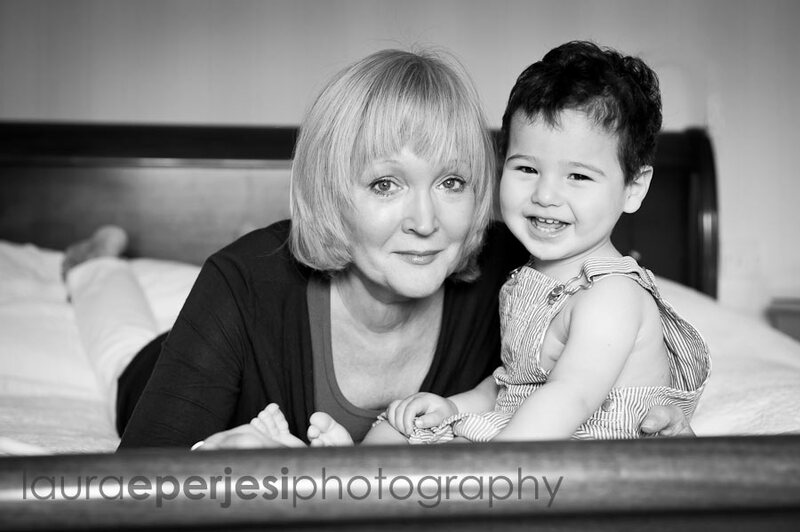 Just before Orlando left we did a photo shoot of him and Grandma enjoying their last few days together. Fortunately they will all be back again next year for the Wedding, where finally I will have the whole family together under one roof! 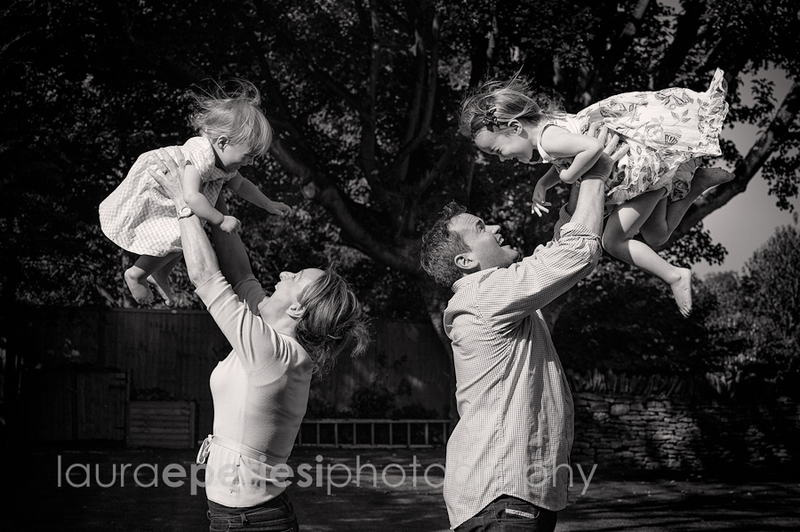 Here are some of my favourites from this family portrait photography session in the Cotswolds. I went to meet Harry and Stanley at their home in London SW12. It happened to be a sunny day, in fact rather too sunny for my liking and I was searching for the shade. 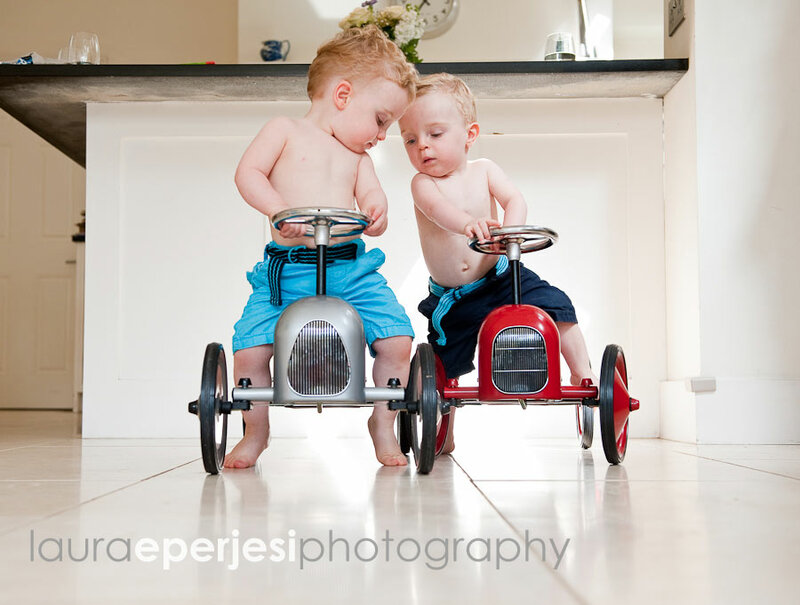 After a few initial shots on the sofa I soon realised that the boys were not too keen to be contained. 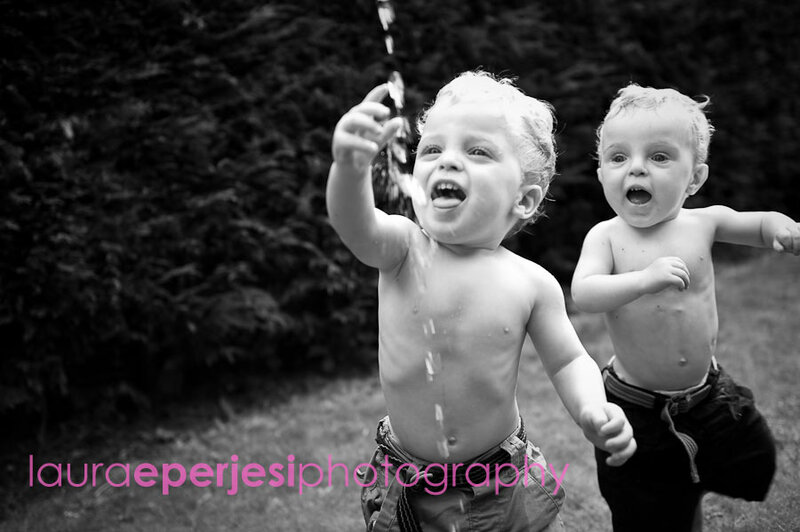 So we set them free in the garden with water…..lots of water! They were like a couple of excited puppies and it was such fun getting them drenched. The drenching continued in the wet room and then continued into the bath. 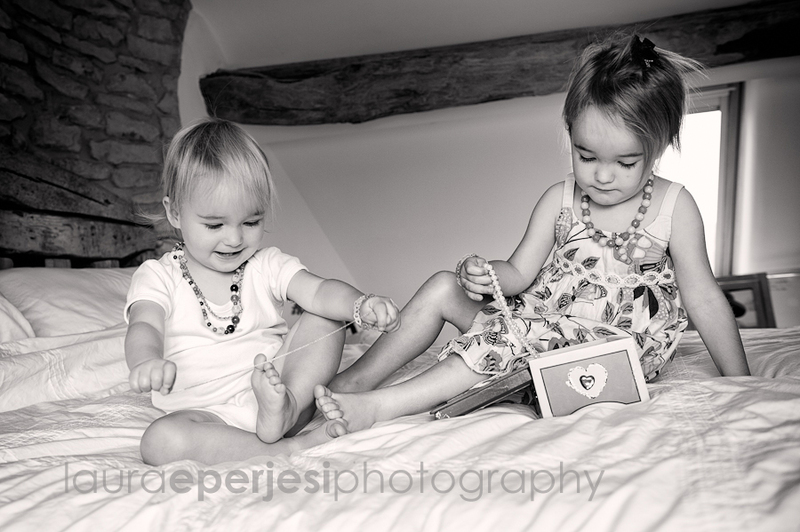 After all that water we calmed down on the big white bed with cheddars and the iPad. 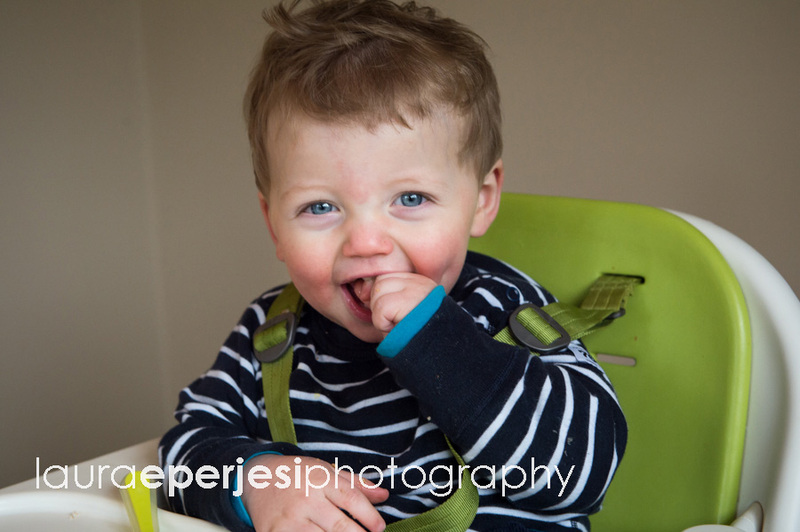 This natural children’s photography session was completed back in the kitchen where lunch was served , which was probably followed by another dunking in the bath! 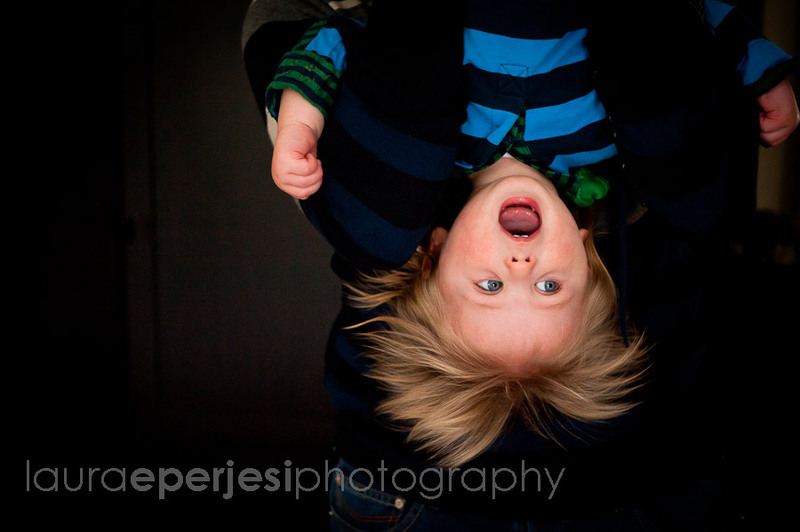 Here are some of my favourite photos from my children’s portrait session in London SW12. Looking forward to putting the book together.